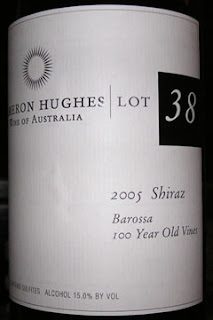 Lot 38 of this Cameron Hughes release is 100% Shiraz from 100-year-old vines in Australia's Barossa Valley. The way Cameron raved about it when this wine was released, I couldn't resist risking the $20 he was charging to see what all the fuss was about. Well Cameron was right. His lauding of the wine was not hyperbole, and this was not a fat fruit bomb like one might be expecting, but instead a wine with plenty going on in a very good way. Dark purple color. Aromas of: spice, earth, smoked meat, pepper, cherries, other berries, and granite. The palate followed suit with similar flavors and added black olives along with chocolate-covered cherries. Succulent tannins were present also, but very nicely integrated with everything else. It's got 15% alcohol but that was buried under all the flavor. I have no clue how this will age but it sure tastes good now. There's lots of things besides fruit in this wine so when the fruit subsides with age, it should get pretty interesting. Two thumbs up! 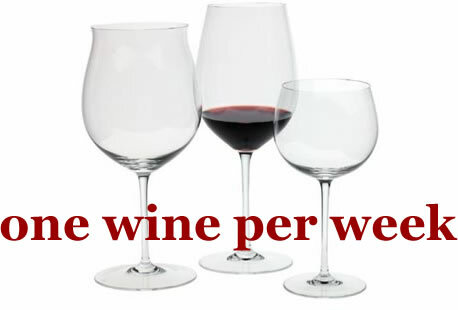 Here's the YouTube music video I chose to accompany the wine. If you can't see the video below, please click here. Has Bill Clinton Overstepped His Bounds? Feiring Takes On The Emperor!! !